These have been made to match our range of cast iron teapots & kettles to protect your surfaces from the heat. At the base of the trivet are three legs covered with rubber. The trivets measure approximately 13cm in diameter and 2cm in height. 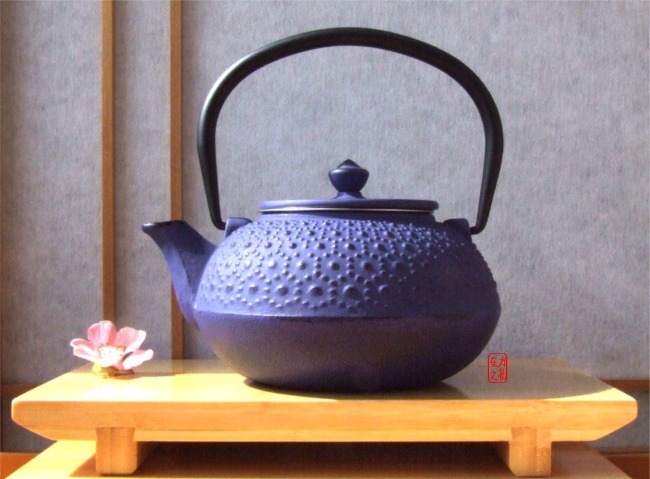 Cast iron teapots were originally created in ancient china. They were then adopted and developed by the Japanese in the 17th century into practical as well as decorative handicraft items sold under the name of “Tetsubin". 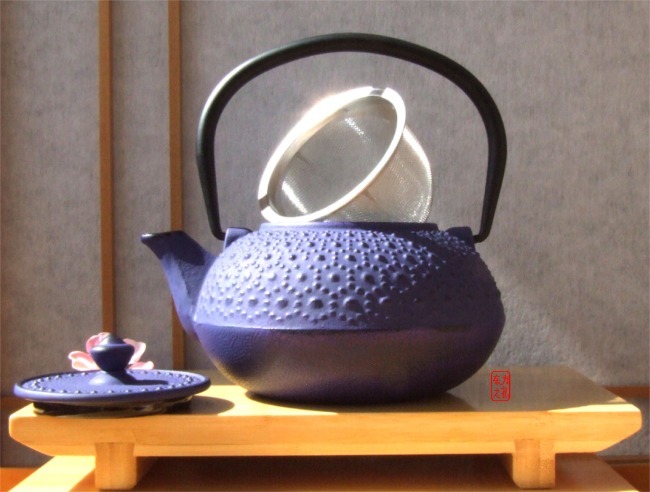 The cast iron tea pots symbolize the everlasting strength and unity of the world and the more intricate are often given as gifts and kept as status symbols. Through special treatments, impurities are removed from the cast iron during the production process. A coating of misty black enamel is then applied to help prevent the formation of rust. Due to their strength of construction these pots may be used as kettles (to boil water) or as teapots (to brew tea). Most sizes come with a stainless steel mesh infuser for brewing loose tea. If using the pot to boil water this infuser should be removed before doing so. If you require a cast iron trivet, there is one available on this site. Before using to brew tea, boil a pot of water and pour it out to prepare the pot for use. After each use, make sure that the pot is clean and dry to prevent the formation of rust. If water is left in the pot, chemicals from the minerals in the water may eventually erode the enamel coating. Tea should not be left in the pot overnight. In the unlikely event of rust, the pot can still be used. After cleaning the rusted area with a soft brush, boil used teabags or tealeaves. The tannic acid from the tea will react naturally with the iron producing a coating over the area. Store your pot in a cool, dry place or put it on display.